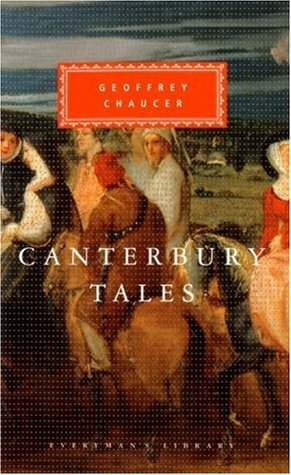 The precise, unerring, delicately emphatic characterizations for which The Canterbury Tales is so famous are no more extraordinary than Chaucer’s utter mastery of English rhythms and his effortless versification. Ranging from animal fables to miniature epics of courtly love and savagely hilarious comedies of sexual comeuppance, these stories told by pilgrims on the way to the shrine of Thomas à Becket in Canterbury reveal a teeming, vital fourteenth-century English society on the verge of its Renaissance. These tales bring together a band of pilgrims who represented most of the occupations and social groups of the time. The diversity of the narrators in turn made possible a varied collection of tales including chivalric romance, spiritual allegory, courtly lay, beast fable and literary satire. I have been familiar with The Canterbury Tales for years. I visited the attraction in Canterbury on several occasions and read one or two of the tales at university. However, this is the first time I have sat down and read from start to finish, and my first time reading it in the original Middle English. My favourite tales remain those I already knew. I'm not sure if that's from familiarity or simply because they are the best pieces. However, all have something interesting to offer. Reading in Middle English was fun as it was fascinating to see how much closer English was to the Scandinavian languages back then, with a good dose of French alongside. As I grew accustomed to the vocabulary and rhythm, my reading sped up. This is a work that some may find intimidating. But if the original language is too off-putting, you can always find a copy rendering in modern English instead. Overall, The Canterbury Tales is a joyful read, full of ribaldry and fun. There were only a couple of stories I found a tad dull; the rest are a delight.